I couldn't help but to also spend my last few hundreds for the week to purchase cheap pop jackets still with pricetags in dollars. Virgin. ✈ This is not a place for early birds and for early-bird-promo fanatics. This is a place where becoming a late-comer is the governing rule. ✈ The sun was still shining in this part of the hemisphere and we had no choice but to wait for the night to arrive. The Gilbert Bridge panorama that effortlessly owned the night view from my vantage point awakened my senses that were previously dampened by physiologic energy depletion and that lonely day. 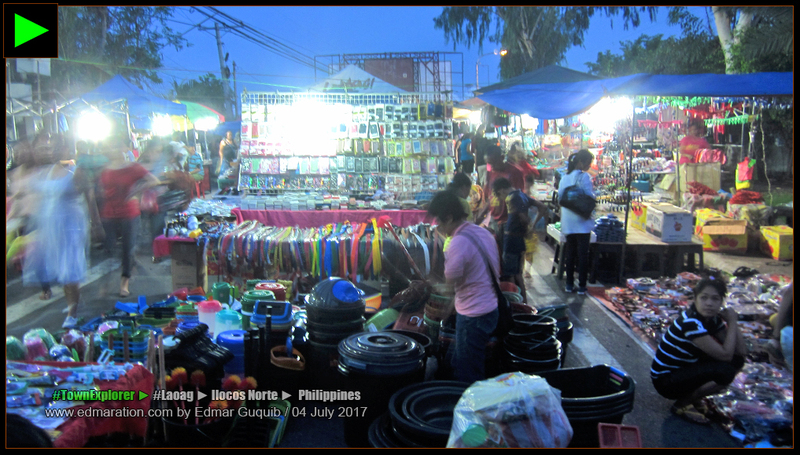 I was in the Laoag Night Market, along the Padsan River, under the consistently changing sky, near a historic square, between my personal expectations, and above my human pride.
) to join her. It's her first time to visit Laoag's night market. As far as my memory is concerned, it was also my first time. 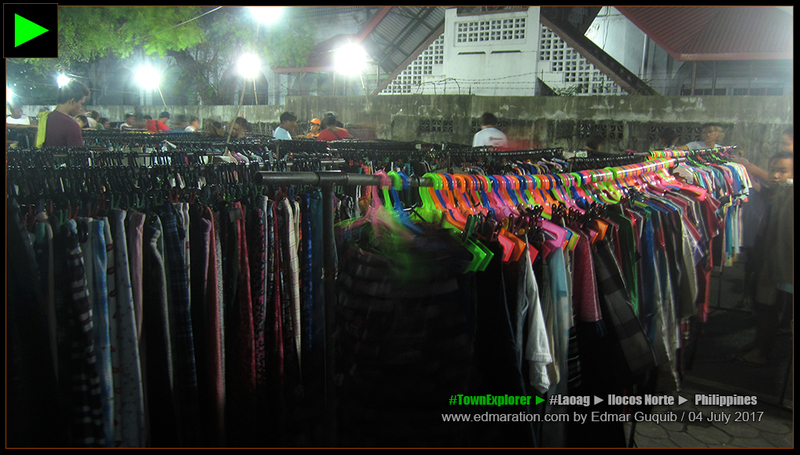 | 1 | [LAOAG] ► NIGHT MARKETS, USUALLY, ARE NOT FOR EARLY BIRDS. SPOT THE PADSAN RIVER. We rode a jeep from the Valdez Center in San Nicolas and I requested the jeep driver to drop us in a place along his jeep route that is nearest to the night market. The night market opens as early as 5 in the afternoon. However, if you are early, there would be limited vendors and stalls so it's best to visit later. This is not a place for early birds and for early-bird-promo fanatics. This is a place where becoming a late-comer is the governing rule. 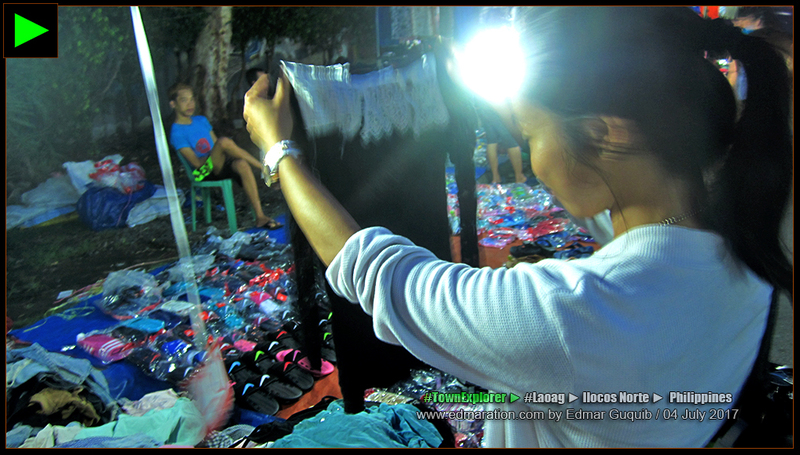 | 2 | [LAOAG] ► There are lesser options for a night market shopper who arrives before nighttime. 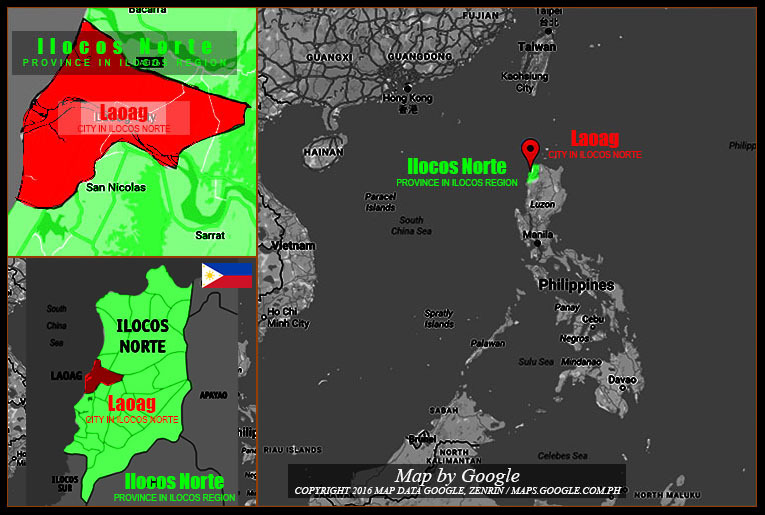 | 3 | [LAOAG] ► There's a reason for this preparation. There's a preparation for this reason. 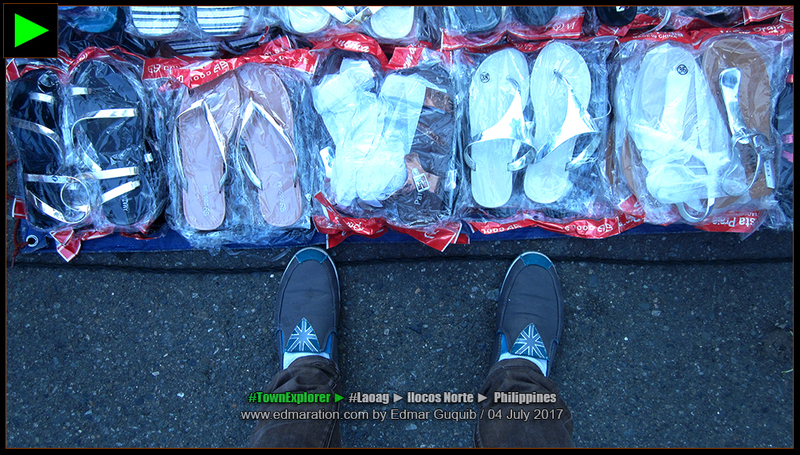 | 4 | [LAOAG] ► May all the people who will buy these footwears reach their destination with joy in their hearts. 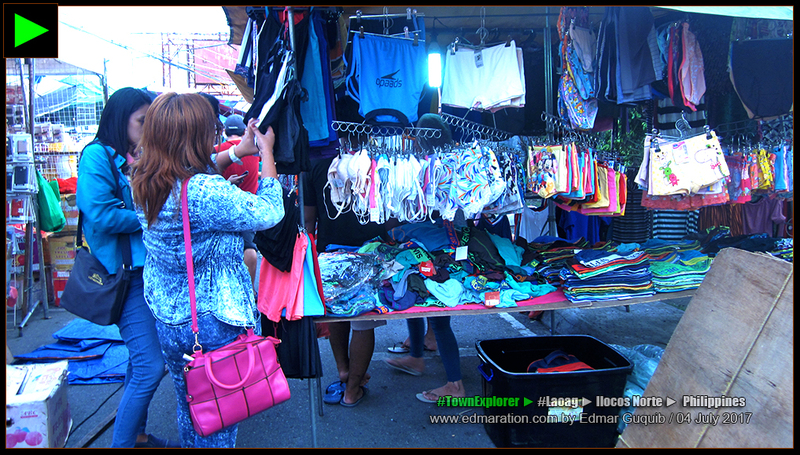 | 5 | [LAOAG] ► There were some stalls available, but still, choices were limited this early. 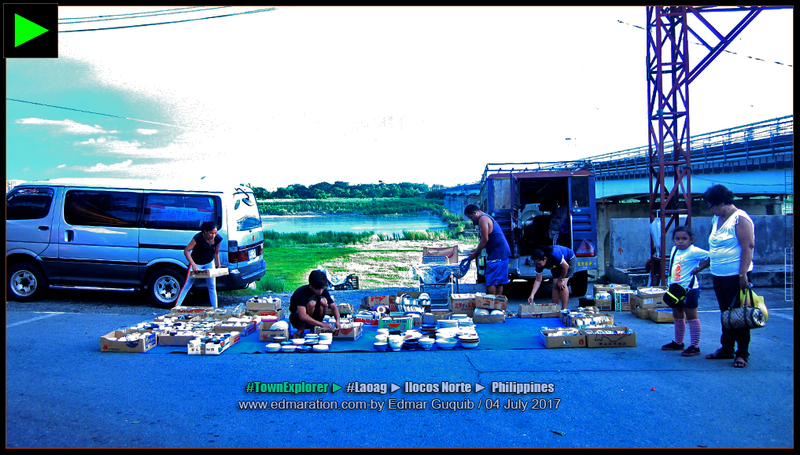 | 6 | [LAOAG] ► Early birds try to choose the best from the new-arrivals. We were here too early, before 6 PM. The sun was still shining in this part of the hemisphere and we had no choice but to wait for the night to arrive. It's night market after all. It made sense. Vendors and stall owners started to dominate the space suited for them. 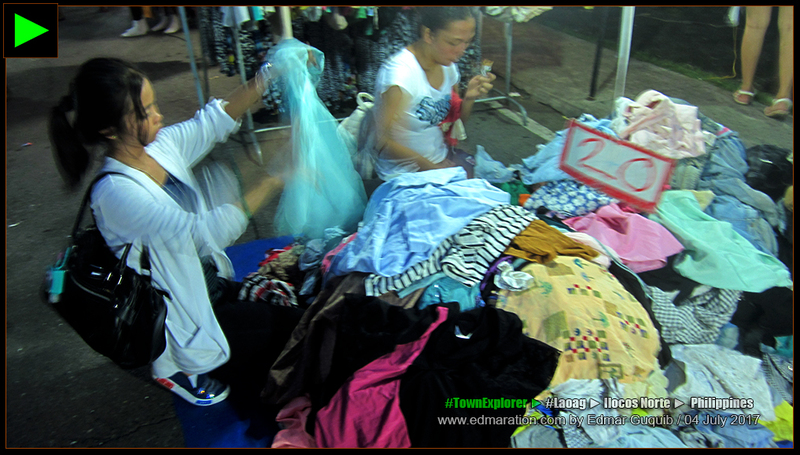 Unfortunately, my friend Jovi wanted to purchase "ukay-ukay" clothes which were still very limited that time. She also wanted to choose the best dominating wear so we decided to wait for about an hour by joining some bystanders at the back of McDonald's Laoag in front of the Saint William Cathedral. 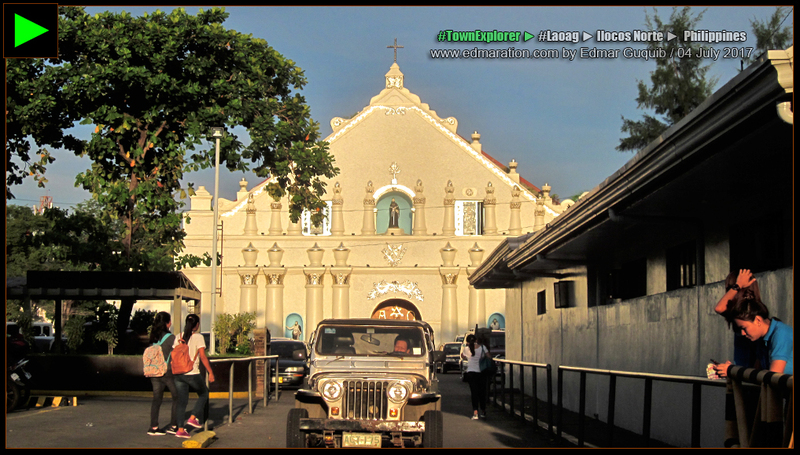 | 7 | [LAOAG] ► THE LAOAG CATHEDRAL HAD A FRESH NEW LOOK BEFORE MY EXPRESSIVE EYES. I noticed that the façade was new. Some details became more prominent. I thought those silver accents were either a new addition or newly-highlighted. It wasn't so noticeable before. I think it is much better now. Whatever the case, I don't mind. I believe the result was cool. I, thank you. While consuming my McFreeze, I was videoing my self for the vlog (check my vlog for this story above, under the YouTube tab) which made some waiting time productive while some people around think I was an Ilocano-Hawaiian vacationing back home (take note: Hawaii is an extension of Ilocos because of the big community of Ilocanos there [85% of Filipinos there are Ilocanos], one of them became a governor of Hawaii). Equipped with stories to share, me and Jovi got no time to spare as I personally watched the sky turn from purple to blue over the Saint William Cathedral. We stayed at the back of McDonald's. Previously in my memory, the façade of the Saint William Cathedral was undergoing some facelifts and I think this is the result now—beautiful! 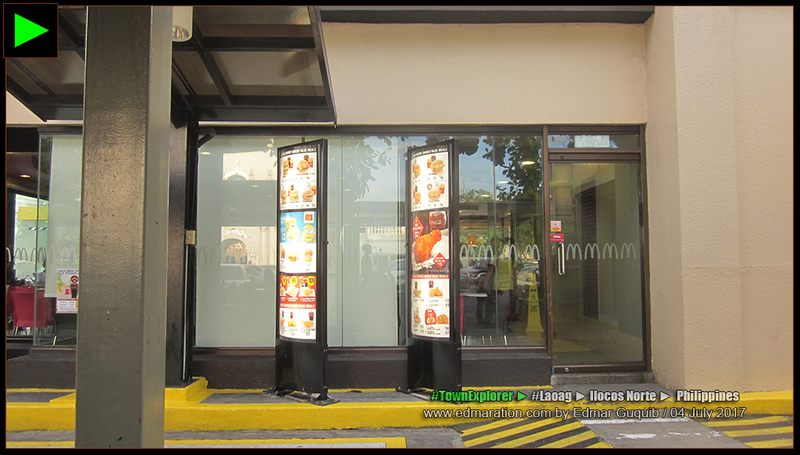 The McDonald's drive-thru has a beautiful background and that was the Laoag Cathedral. 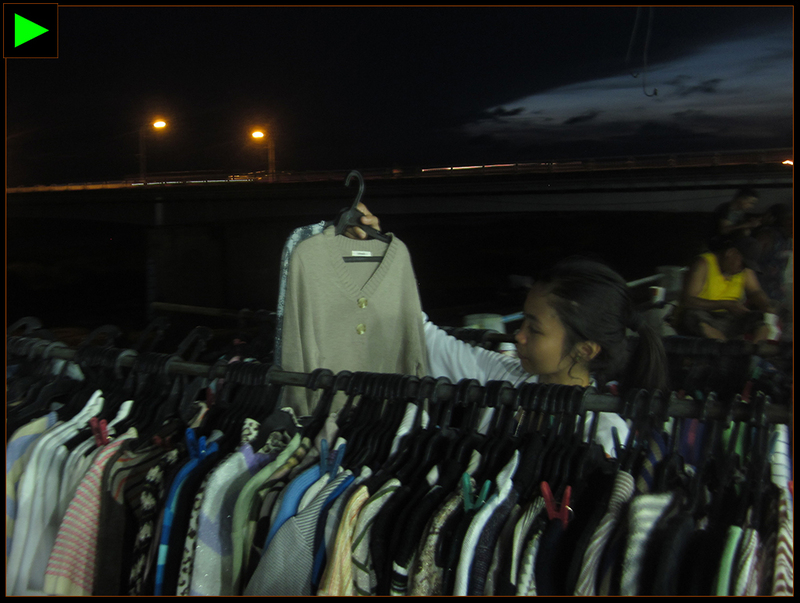 After an hour, we decided to go back to the night market and the primary target of Jovi was the "ukay-ukay" section. No, not me. It was Jovi. 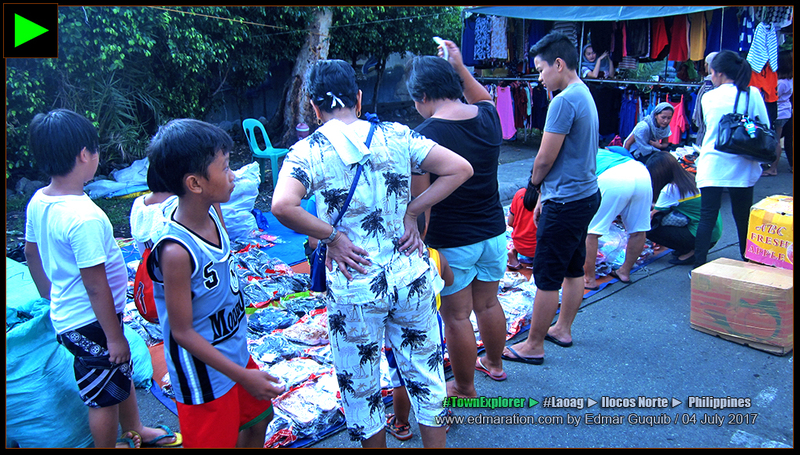 Yes, it was Jovi's first time to shop an ukay-ukay and like a little kiddo who is about to taste a popsicle for the first time, she was amazed of what she saw; and on how cheap the items were. 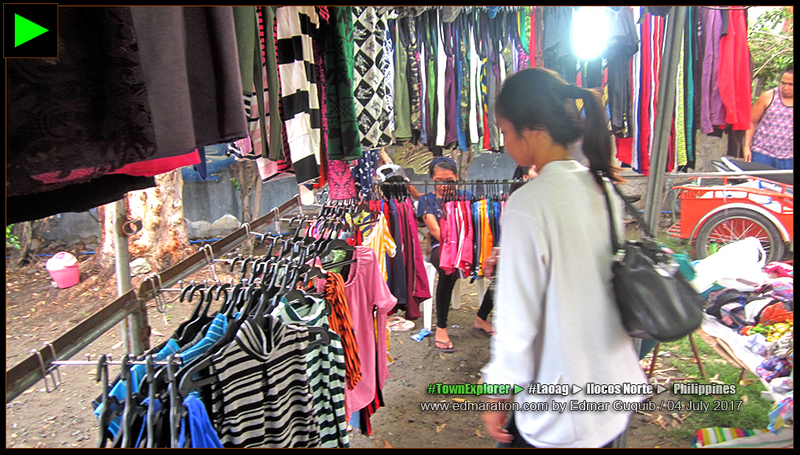 | 9 | [LAOAG] ► JOVI SHOPPED AN UKAY-UKAY FOR THE FIRST TIME. SPOT THE GILBERT BRIDGE. 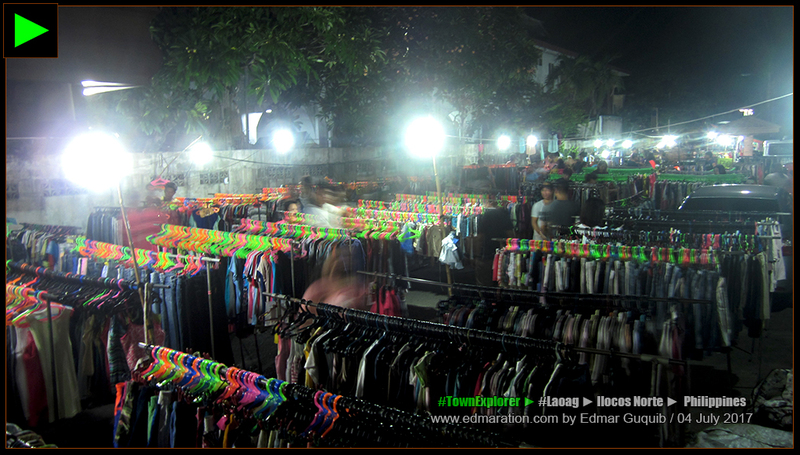 We turned to the other road and I was also somehow surprised to see the long array of ukay-ukay stalls. I never imagined that it could be like that. Without too much plenty overthinking (verbose, I know), I was defeated by temptation. I couldn't help but to also spend my last few hundreds for the week to purchase cheap pop jackets still with pricetags in dollars. Virgin. My budget managed to purchase two brand-new-never-been-sold ukay-ukay. They were just lovely with the brand print over my chest. 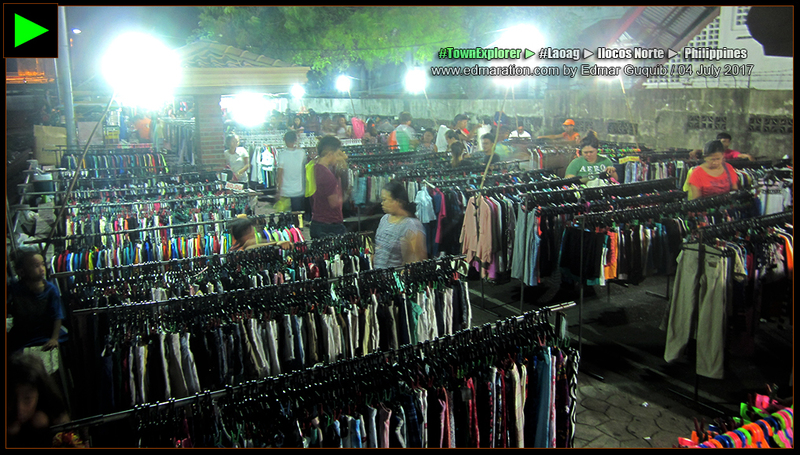 | 10 | [LAOAG] ► This is the ukay-ukay section of the Laoag Night Market. | 11 | [LAOAG] ► Being choosy is a right, not a choice. | 12 | [LAOAG] ► Diversity is a blessing. If there's variety, you could choose what's more personal for you. 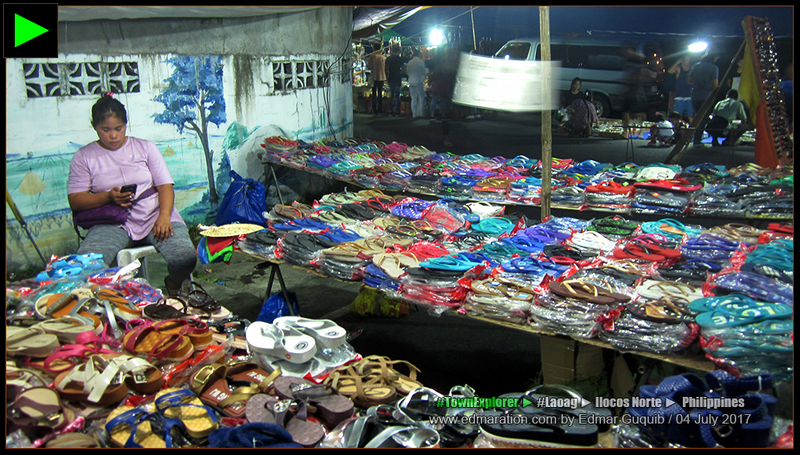 | 13 | [LAOAG] ► I think Jovi enjoyed her first experience here at the night market in Laoag. | 14 | [LAOAG] ► Sometimes, being alone is not boring. | 15 | [LAOAG] ► You know, I love that bridge there. I think it's so beautiful at night. | 16 | [LAOAG] ► Meanings change when you omit even a little. Parang love life. Kung walang "S" boring. I'm referring to the sweetness. | 17 | [LAOAG] ► If you're wise, there's a diamond in the field of bronze. 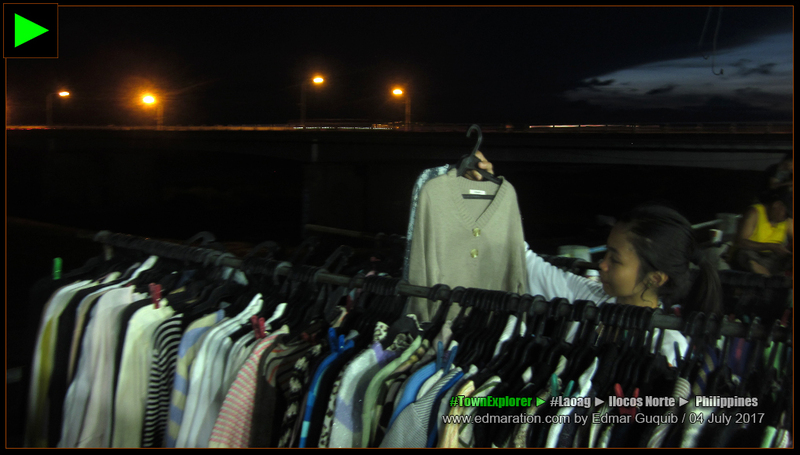 | 18 | [LAOAG] ► Jovi was enjoying her first ukay-ukay experience. 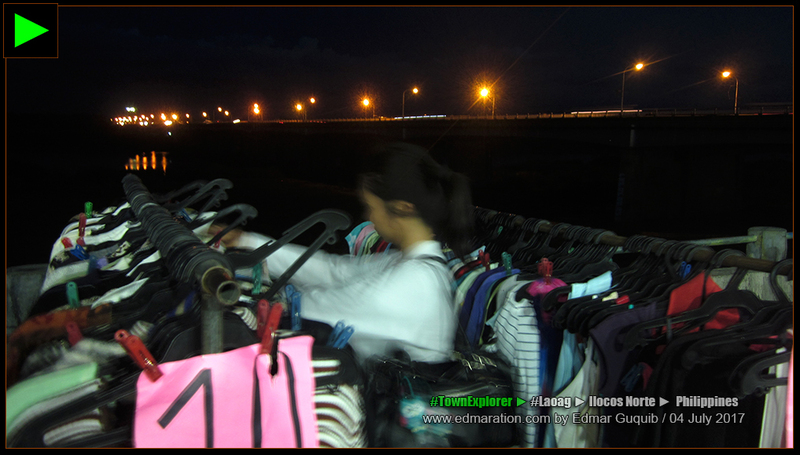 | 19 | [LAOAG] ► Life is like shopping. There are many choices. Your task is to choose the best choice. 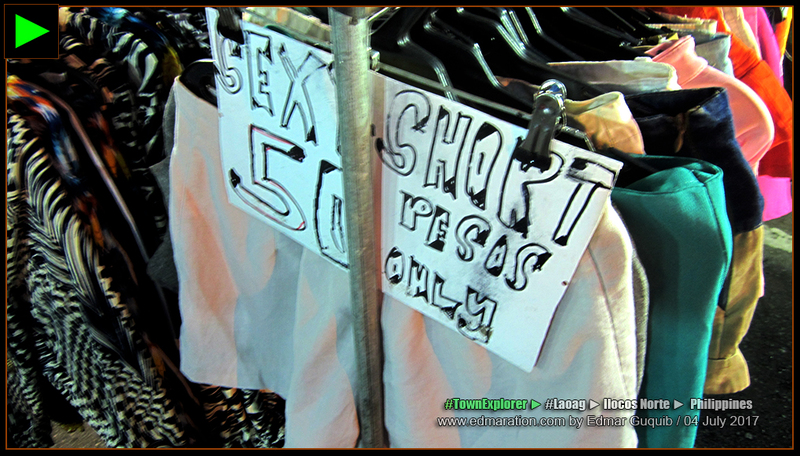 Jovi was able to purchase four pairs of pants at 200 pesos. She couldn't believe what she got. She seemed satisfied—surprised that her two hundred pesos could make her appear an extravagant, compulsive shopper in no time. ✈ This post was filed under the category "Night Markets." See more posts related to this below.